With flats this amazing, who needs heels! With or without socks or hosiery, flat shoes work with skirts and dresses (above) or pants (below). CONFIDENCE equates to comfort; confident in who we are and comfortable in the clothes we wear. But when it comes to our feet, many women still suffer for fashion. While there is a place for heels in every woman’s wardrobe, flat shoes are an obvious choice for practical reasons. Unless you are on the red carpet at Cannes!!! We spend two thirds of our life on our feet, so it is imperative that shoes fit well, but above all else, they are comfortable – particularly closed-toe options. This season, we’ve borrowed from the boys – a trend which dates back to the early 19th century. 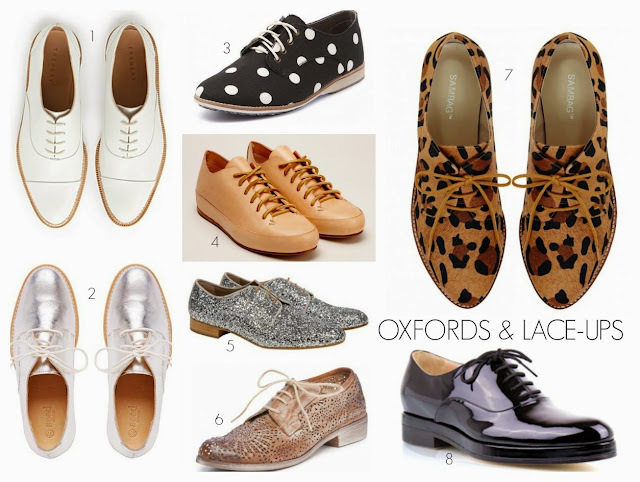 So update your wardrobe with on-trend oxfords, brogues and derbys; or slippers, slides and ballet flats. Whether teamed with opaque hosiery or socks under your favourite dress or skirt, or if you’re brave enough to go bare legged with your favourite boyfriend jeans, tailored or cropped pants, flat shoes will carry you through this season. And beyond. Every woman needs to have a pair of classic black ballet flats or loafers in her wardrobe, but flat shoes don’t have to be boring. Inject some personality and make a statement with embellishments, colour and glitter. With flats this amazing, who needs heels! 1: Just as our body changes as we age, so do our feet. So get your feet measured every couple of years. 2: The best time to try on new shoes is at the end of the day when your feet are largest. 3: Most of us have one foot slightly larger than the other, so fit your shoes to the larger foot. 4: Make sure the ball of your foot fits comfortably into the widest part of the shoe. 5: Don’t select your shoes from the size on the shoe or the box. Try them on as sizes can vary from brand to brand, country to country, cut and style. 6: Don’t buy closed-toe shoes if you can’t wiggle your toes in them. Make sure there is enough space for your longest toe (at least 1cm or 1/2 an inch) at the end of each shoe when standing up. 6: Don’t buy shoes that feel too tight and expect them to stretch. They don't. Sometimes the width will stretch, but never the length. 7: Walk around the shop in the shoes to make sure they fit and feel right. 8: Your shoes should fit comfortably without slipping up and down off your foot when you walk. The same applies to sling backs. 9: Don’t assume that flat shoes are better than heels. Styles that are completely flat can cause feet to pronate (roll inwards when walking). Look for flats that have a built-in arch support so your ankles and feet are stable. 10: If buying online, make sure you know the e-tailer’s returns policy. 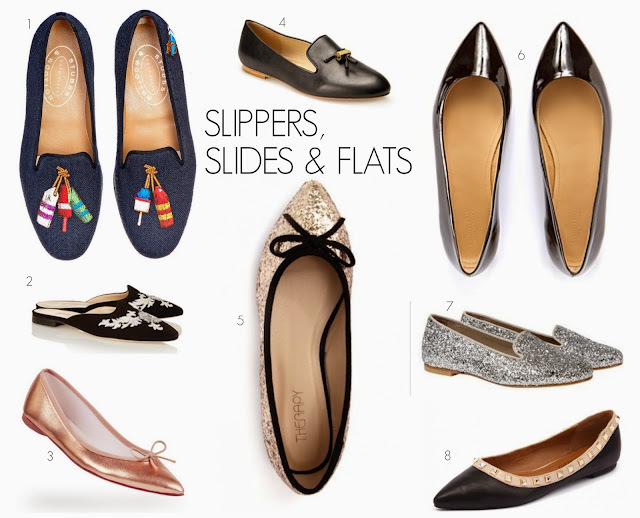 Do you love a flat shoe? What was the latest pair you bought? How do you wear them? Got a favourite style or way of wearing them? Would love to hear from you.